The injured or wounded and born within the province of Navarra, or from neighboring provinces, receive free medical treatment from The Public Health Service. However, foreigners are charged through their medical insurance. Anyone injure or wounded will obviously be given full treatment with no questions asked, but later The Navarra Health Service will try to have the cost paid by the patients medical insurance. 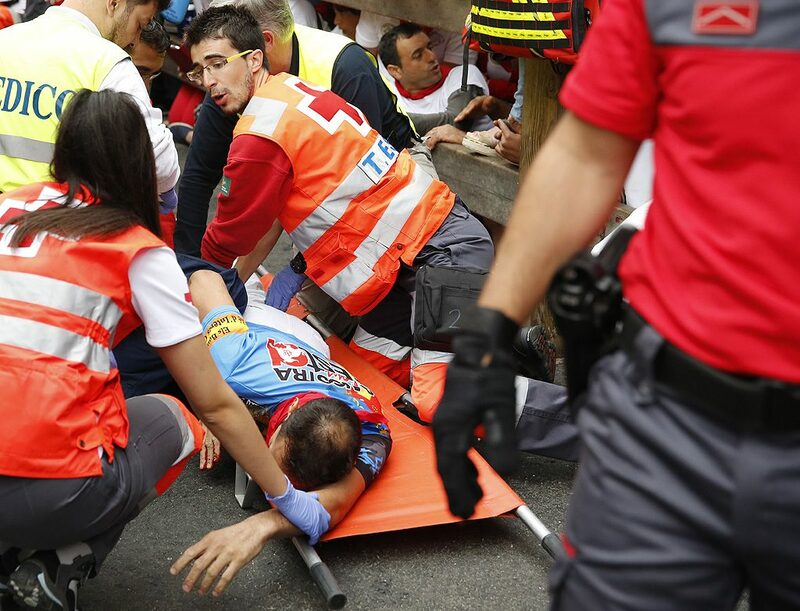 The injured in the running of the bulls are taken to the Complejo Hospitalario de Navarra. The Navarra Public Health Service is obliged, by law, to charge for its health care, when there always exists a third party to pay, as occurs in the case of traffic accidents. Consequently, in the case of people who are resident in another country, they must try to find someone to take responsibility for the costs. There have been cases where the Embassy of the infirm person has had to affront the costs of their citizens in cases of insolvency. In the case of other European countries, there exists a corresponding compensation system between the different national health systems. There are two insurance policies made by Pamplona City Hall and by the organizers of the bull fair – the Casa de Misericordia. These serve to cover compensations in cases of disablement or death. Some insurance companies specifically exclude the Running of the bulls and the leaps from the fountain in the Navarreria from their health coverage policies in their standard versions, as we published in our blog. In addition, some travel agencies exist which oblige their customers to sign a personal risk undertaking in which they relinquish the procedure of suing them in any of accidents in the running of the bulls.